« erin and ann come for a visit! 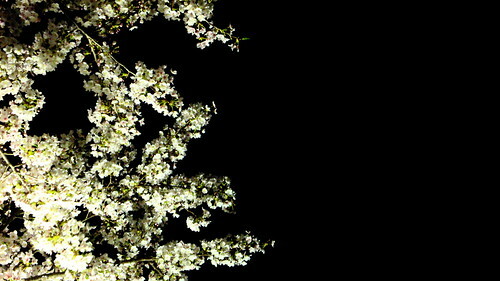 One of the greatest pleasures of cherry blossom season is wandering around at night and finding the bunches and clusters of blossoms illuminated by artificial light. 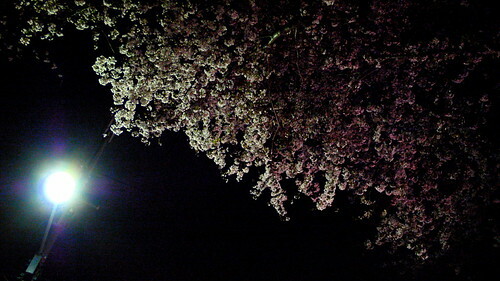 Although there are many places where this is done on purpose and the trees are spotlit and gorgeous, in other places it’s just the streetlights and fluorescents that do the illuminating — or perhaps there’s even no illumination at all. 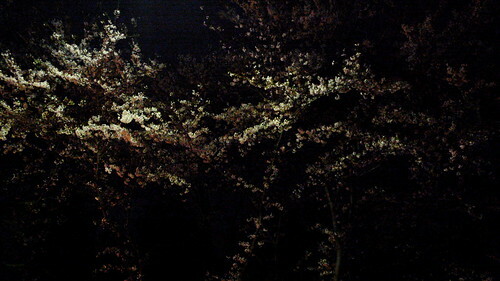 On the 15th of April I spent the evening walking around the Osaka University campus, which has some really wonderful night blossom viewing, and taking photos using both the Panasonic Lumix, and the Voigtlander Bessa-L (I haven’t gotten the film from the Bessa back yet). 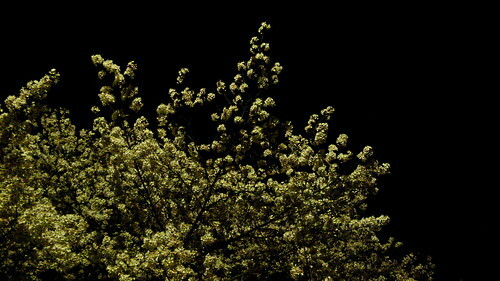 I really love the abstract quality of these photos and the sense of night-space and motion that they invoke. Previous: erin and ann come for a visit!